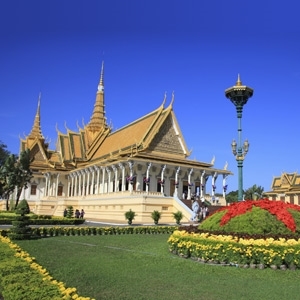 AmaWaterways’ Charms of the Mekong river cruise is one of the most exotic and unforgettable journeys. Explore ancient temples, mist-covered mountains and colorful floating markets along the Mekong River as you travel through two of Southeast Asia’s most beautiful countries. Along the way, visit a Buddhist monastery, the Royal Palace and the Silver Pagoda in Phnom Penh, and try your hand at the delicate art of rice papermaking. The AmaDara luxurious river cruise ship features regionally-inspired cuisine, spa treatments and a pool on the sun deck so you can relax and recharge in comfort after each adventure. Fares as low as $1,299 and Cruise Fare Savings and More! 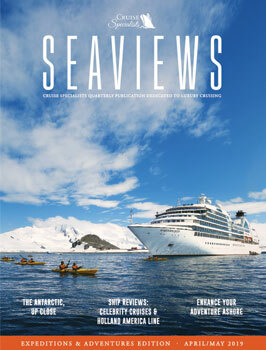 Cruise Fare Savings and More! All rates are per person in USD for cruise only, based on double occupancy in minimum available stateroom. Port Charges of $168 per person are additional. Early Booking Savings are limited time and may be changed or cancelled at any time. Unless explicitly stated that single supplement is waived, solo travelers in a double occupancy stateroom must pay an additional single supplement amount before receiving any discounts. Other restrictions apply. Limited Time Offer is capacity-controlled and subject to modification, reduction or withdrawal without notice. We reserve the right to correct errors.